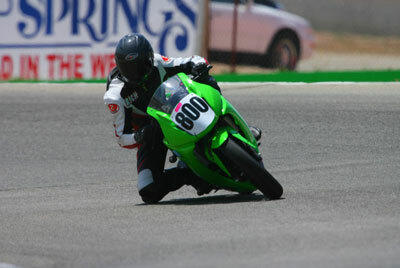 RaceBikeRentals.com was founded by WSMC racer Richard Barnett. A veteran of 3 years of racing with WSMC, Richard currently races a 2002 Aprilia RS250 Challenge Cup and a 2008 Kawasaki Ninja 250R. After a great race in the first Ninja Cup race with Wes Totsubo, Richard realized the implications of the new low-cost Ninja and what it could do for both new racers and experienced racers alike at the track. RaceBikeRentals.com was created to expand this exciting opportunity. Join Richard at race weekends for a seriously good time on the track and some bench-racing off the track at our pits. We look forward to racing with you!